Ofcourse we have to use My Jio app but new Jio app not working with all handset, This app only supported few handset like LYF, and Samsung limited models to know about 4G VoLTE and supported handset models click here, so friend we need to download a moded Jio application but it is too difficult to find a perfect Jio application so friend here we are providing total solution for this solution also they are recently announced their tariff plan for more details click here. follow bellow mentioned details step by step. Install it on you mobile handset as usual another apk application. Now open my jio app from your android mobile. Install all application from my jio app one by one. Off wifi and mobile data properly from your mobile. Clear all open app from task manager ie all Jio application to be close. Select your city and you have see a bar code screen short it and make print. 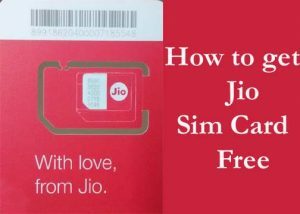 congratulation you have now have a code for getting a Jio sim free good luck.